Mrs. Miner's Kindergarten Monkey Business: December Ideas, Activities and a FREEBIE, of course! December Ideas, Activities and a FREEBIE, of course! So, I first saw these 3D Snowflakes in my 1st mentor teacher's classroom (KO!) and thought how amazing they were and that there was no way possible that young children could make those. But, I found out otherwise and then just thought that KO was just doing one more of her magical things in her classroom that I could never accomplish. So, I researched, made them and attempted them with my kinders and found out that it for surely CAN happen! 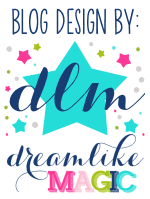 Here is a tutorial at this link at Lasso the Moon' incredible blog that I found on Pinterest. Make several of them ON YOUR OWN before even thinking about doing it with your class. As you are making them, think about your students and how they can relate to the project using language that they understand. I integrated a lot of vocabulary we had currently been learning in our geometry unit (flip, cylinder, turn, fractions, halves, line of symmetry, etc...) but it will definitely depend on the group you are working with. Be prepared! Have at least one roll of tape per 2 kiddos...this might mean buying some tape on your own or borrowing from your neighbors, but it will be well worth it. Teach each step! Students do not necessarily know how to rip off tape...they will need to learn before they begin unless you want to ripping off over 1000 pieces of tape for this one project. Prepare the paper before starting. Depending on the age/ability of the children, this may even mean making the squares (easy, but one less step for kiddos to worry about), folding the papers and marking where they need to cut. I fold several at once to make it get done more quickly! Make sure you have an extra set of hands (or two!) in the room with you, especially when you first start. The kids truly believe they cannot possibly do this project and feel very overwhelmed (and become a little needy :) ) at first. Once they get more confident, it goes much more smoothly. Have students stick one inch pieces of tape on their work/pencil boxes or on scissors. (Hint: the edge of the table DOES NOT work for them-speaking from experience!). Go through VERY slowly and show them how to make 1/6 of the snowflake. Some will finish quickly and I have those students become helpers until everyone has one "arm" done. Then our next stopping point was at completing 3 arms because then you staple that half together. No one moved on until everyone had 1/2 of their snowflake done. It's all downhill from there because they have all become professionals by now! Lastly, make sure the kiddos are putting names or at least initials on every TOP point of their snowflake "arms"--they are easily lost, mixed, etc. if not! (And we all know how that ends up!). I hope these pointers are helpful because it is such a beautiful display and project to do this time of the year as opposed to the Santa, elves, reindeer theme. AND, an even bigger bonus??? You can leave them hanging for a few months if you want. I know we are (even though my kiddos are begging me to let them take them home!). This project will be great to save (or Pin!) for January, too! Here are two small, cheap, quick projects to give as gifts to students or to your own childrens' classmates. Above are peeps pops...so simple, peeps with any kind of gummy candy on the top and the bottom of the peep on a bamboo skewers. Put a lollipop bag over it and voila! you are finished. Kids LOVE them! Students love the classic Rudolph the Red Nosed Reindeer story book. I always read it and relate it to bullying, kids' uniqueness and kids being different. This year, I had the students write about bullying and will display it with their pictures transformed into Rudolphs. I sometimes make them into ornaments, but this year, I used 8x10 photocopies of their faces, they added their hands as antlers and colored their little noses. Its going to look so cute when I hang them up tomorrow! Every year we make elves at home and at school based on my Elf Yourself Kit for sale at TpT. Every year I like to do them a little different! I made them half the size (by printing two pages of the pattern per one sheet--a setting that you can choose in the print options pop up) and we made black and white legs. All I did was take big sheets of black construction paper and painted white designs on them! So simple, yet they really pop out! 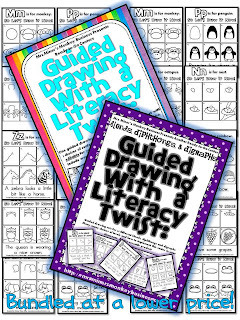 Last, but not least, I want everyone to know that I updated my latest Guided Drawing with a Literacy Twist set! If you have already purchased this, be sure to go re-download it FREE! If you haven't, I have put the bundle on sale for a couple of days 20% off. Seriously, my students FAVORITE activity...great for reading practice, handwriting practice, constructed response practice (or whatever you choose--I always include a blank lined one for you to do what you choose on it! )...oh and for drawing, too! It is completely independent once you've introduced it ONE time whole group! The bundle which is 318 pages long is on sale for $9.60 which is almost half the price of buying both kits separately. The kit is so easy to implement AND very versatile to use in your teaching (OH and easy to differentiate with as well!). Do your kiddos a favor and implement this fun from now until the end of the year! And, I couldn't leave you without a freebie! How's this for this week? Be sure to follow Mrs. Miner's Kindergarten Monkey Business or LIKE it on Facebook (both available in left sidebar) so you never miss another FREEBIE or informative article. Also, even if you won't be using some of this information NOW, make sure you pin it for later! Amazing post Krissy. Except now I have to run to the store to buy more supplies for student gifts. Those little elves with the candy legs are adorable. I have made the snowflakes for the past 4 years with my first graders. All the other classes and teachers cannot believe a 6 year old made them. They are truely amazing! Thanks for sharing your extra ideas. Go slow, use lots of vocabulary, and wait until all are finished... one arm and 1/2 done. Tanzanite can be rapid turning out to be one particular the most famous crystals. Generally known as considered one of bell ross replica sale December's birthstones, their exclusive violet tone can be remarkably preferred along with creates your gemstone a major reach using the two orange along with violet gems supporters. The idea merely grows to a new six to eight for you to eight in Mohs range involving hardness, consequently though it can be even now challenging ample to get reconstructed as diamond jewelry, users need to patek philippe replica sale be aware while undertaking everything way too challenging even though donning his or her engagement ring. Seen in merely one position on the globe, tanzanite is quite exceptional. You will not likely come across all kinds of other men and women donning the idea, so that it is the best alternative pertaining to abnormal proposal wedding rings. Makers specially enjoy your combined your blue-violet gemstone which has a us platinum fake rolex wedding ring. Orange topaz is quite common mainly because it is regarded as very reasonably priced - in fact it is the most reasonably priced gems that you can buy. Orange topaz is often separated into about three distinct groups of hues: sky-blue, your lightest orange in the hues; swiss-blue, a cartier replica sale more deeply orange; along with London-blue topaz, and that is your richest orange and is also the most famous alternative. Regarding acceptance, orange topaz occurs subsequent immediately after sapphire. The idea charges the nine for the Mohs range, so that it is quite tough along with challenging for you to damage.